I’ve made no secret of the fact that I have a weakness for shoes, and if you give me the chance to personalise something, there’s no stopping me! 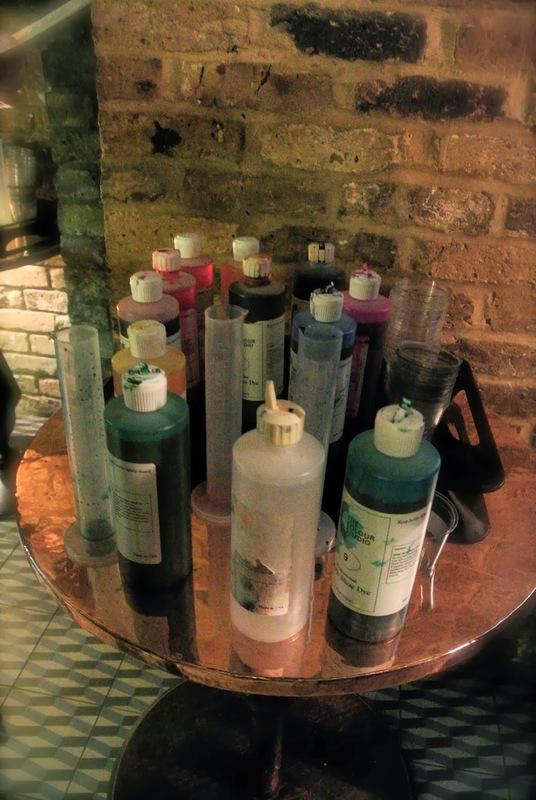 So I was so excited to receive an invitation from The Rainbow Club to take part in their Colourology competition at Dirty Martini in Mayfair – fabulous shoes, great company and the chance to win Selfridges vouchers – try and stop me!! 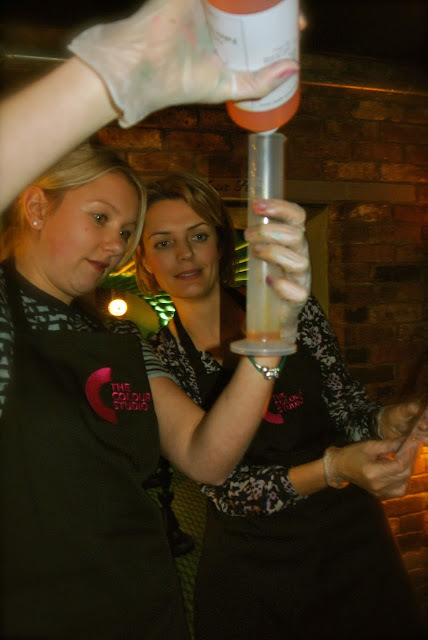 Fashion bloggers gathered last night to design shoes inspired by our alter egos, we were first shown how to dye the shoes using cotton pom poms (I’m sure there is a more technical term!) and then were invited to embellish them with gems, lace, glitter and feathers. We were treated to unlimited Champagne, as well as delicious treats! I’d been to Meat Liquor at lunch time, so it was NOT a healthy day! The Colour Studio girls sure know how to decorate a Christmas tree! 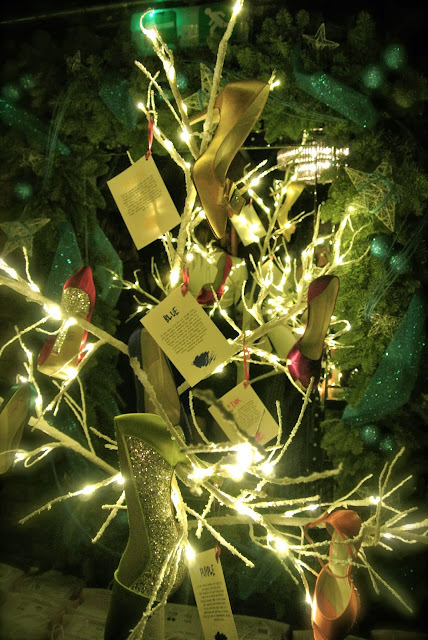 The tree in Dirty Martini was decorated with sparkling stilettos, glittering pumps and brightly coloured courts. Who says shoes have to stay in the wardrobe?! We left it to the Rainbow Club pros to mix up the dye – they can create ANY colour – so it is perfect if you have a specific dress in mind and need a matching shoe. 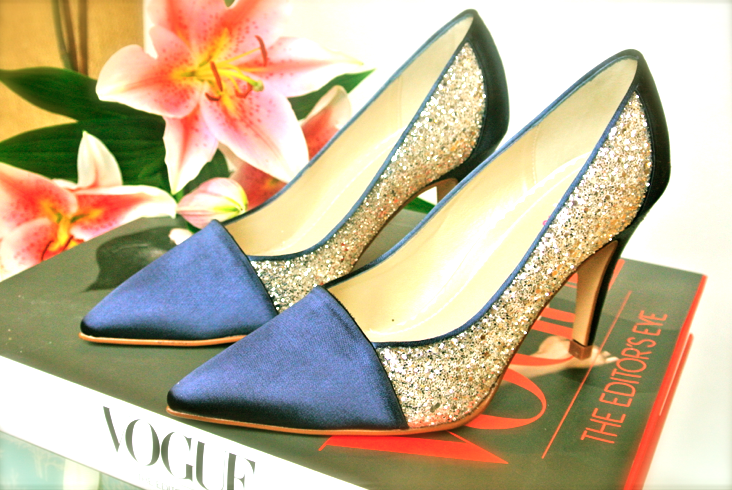 Their best consumers are bridesmaids, looking for a glamourous shoe to match the dresses. We were given one hour to practise, and then create a shoe based on our alter ego. Some girls created flamboyant designs, inspired by ‘Rihanna at the Carnival’ or ‘City Girl becomes Country Bumpkin’, where as others chose more classic designs – including myself! My alter ego has to be my wild side, so I chose a leopard print design which I created using black glitter. We then showed our designs to the aptly named, Di, from the Rainbow Club, who chose her favourite three from all of the creations, and guess what, I came third! So this is my super cheesy pic with my third-place design, and my prize – Selfridges vouchers! And these are the fab shoes that I came home with – they will look great with my navy dress for Christmas! Thank you Octane and the Rainbow Club for such a fantastic evening, the only tough decision I have to make now is what to treat myself to in Selfridges! 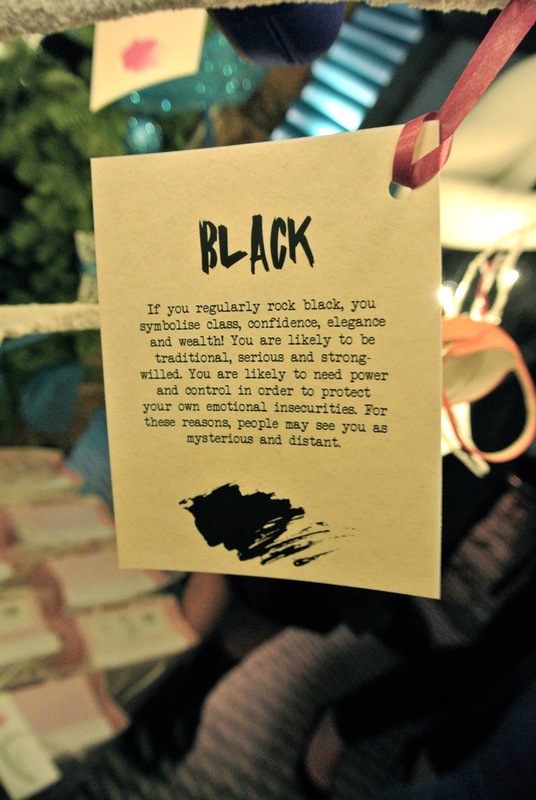 Next Post Grazia & Harrods Fashion Lab – Evening of Style & Goodies Galore!